Not since Henry Ford’s Model T revolutionized transportation has the auto industry seen so much change. Cars are getting smarter. 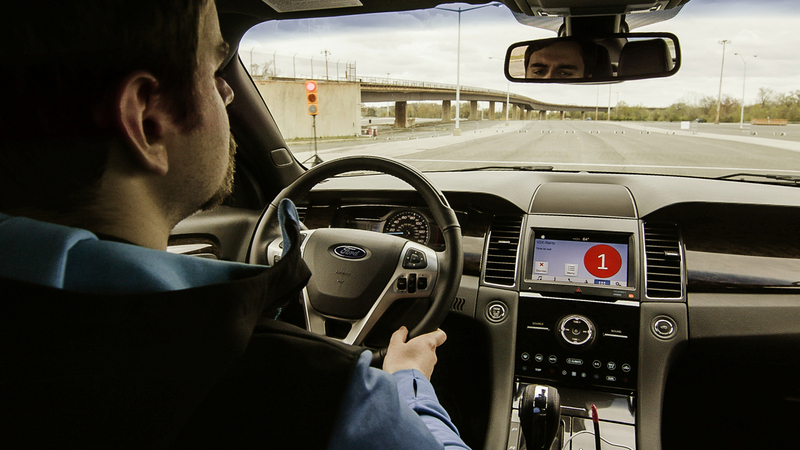 Every car is expected to be outfitted with hundreds of sensors, from cabin and outward-facing cameras to radars, lidar, and GNSS (global navigation satellite system) technology. This new technology is expected to generate up to 11 petabytes of data per year by 2020. While advancements in radar, lidar, and camera systems are encouraging, sensors are limited by their line of sight. A new technology called Cellular Vehicle-to-Everything (C-V2X) complements the capabilities of existing sensors by providing 360-degree non-line-of-sight (NLOS) awareness, extending a vehicle’s ability to “see” further down the road – even at blind intersections or in bad weather conditions. C-V2X is expected to be ready for commercial deployment in cars for 2019. By complementing other sensors, the technology provides higher level of predictability and determinism by conveying location, speed, direction and even intent. C-V2X will serve as the foundation for safe, connected vehicles of the future – by giving vehicles the ability to “talk” to each other, pedestrians, roadway infrastructure, and the cloud. As well as drastically reducing the number of road deaths each year, it is expected C-V2X will play a key role in the evolution of smarter transportation systems too. This will ultimately improve the lives of drivers, pedestrians and the infrastructures of the cities in which they live. C-V2X is engineered to allow vehicles to communicate directly with each other (Vehicle-to-Vehicle or V2V), with pedestrians (Vehicle-to-Pedestrians or V2P), and with roadway infrastructure (Vehicle-to-Infrastructure or V2I). C-V2X is also designed to allow vehicles to communicate with the cloud via the mobile network (Vehicle-to-Network or V2N). V2V, V2I and V2P interactions use C-V2X’s direct communications technology to support active safety and enhanced situational awareness by detecting and directly exchanging vital information (e.g. road hazard warnings) using low latency transmission, without relying on mobile network coverage or cellular subscription. V2N interactions use C-V2X’s network communications technology to support telematics, connected infotainment, and a growing variety of advanced informational safety use cases, leveraging 4G, and emerging 5G wireless networks over a licensed spectrum. 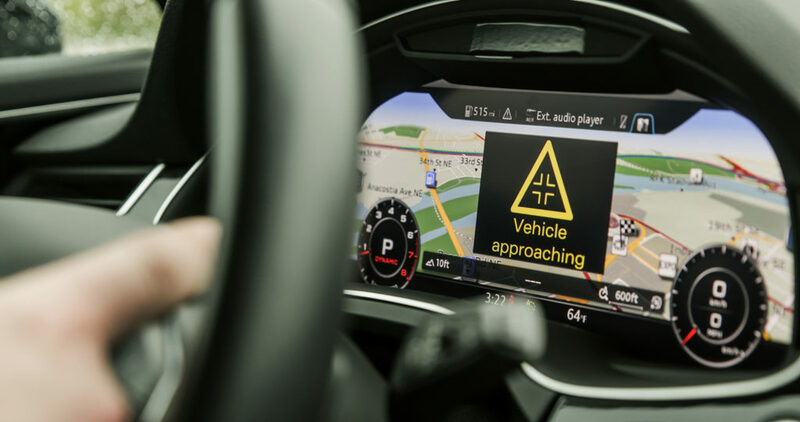 Tomorrow’s autonomous vehicles require a connected technology evolution to accommodate expanding safety requirements and use cases. The path to 5G is expected to deliver this evolution as it builds upon C-V2X and delivers more possibilities for the connected vehicle. The extreme throughput, low latency and enhanced reliability of 5G is expected to allow vehicles to share rich, real-time data, supporting fully autonomous driving experiences. Through its 5G New Radio technology (5G NR), C-V2X is expected to play an important role in the future of autonomous driving. 5G NR technology supports high throughput and ultra-reliable low latency communication (URLLC) capabilities to help drive advanced use cases for autonomous vehicles without relying on 4G/5G network coverage. C-V2X’s 5G NR is designed to support autonomous vehicles by sharing their view of the road and understanding of their surroundings with each other and road infrastructures, directly. This includes sharing high throughput sensor data from camera, radar, lidar and ultrasonic sensors to build a real-world model of their surroundings. More importantly, C-V2X’s 5G NR is engineered to support a higher level of predictability and determinism for autonomous driving by allowing vehicles to convey their intention and planned movement with other cars and infrastructure. The race to deliver autonomous vehicles is underway and multiple technologies will be needed to get us over the finish line. C-V2X will look to be ready for commercial deployment within cars from 2019. We at Qualcomm are excited by this. C-V2X’s technology is designed to allow vehicles to communicate with each other and the environment around them, including road safety, traffic efficiency, reduced air pollution and better driving experiences. From 2019 onwards, we welcome the significant economic and societal impacts this will bring.